Advertising may be that rare case where economists are less cynical than the general public. For many people, advertising is the epitome of exploitative and wasteful capitalism, encouraging people to feel bad unless they spend money they don't have for goods and services they don't actually want or need. Many business firms spend their advertising dollars ruefully,while quoting the old line: "I know that half of the money I spending on advertising is wasted, but the problem is that I don't know which half." But while many see this glass as totally empty, economist see it as half-full. Yes, advertising can be a arms-war of expenditures that benefits no one, while creating consumer dissatisfaction. But it can also be a form of active competition leading to lower prices and better products for consumers. Here, I'll give a few facts about advertising, review the classic arguments from back in Alfred Marshall's 1919 classic Industry and Trade, and point out a bit of recent evidence that consumers may well benefit from lower prices when advertising expands. 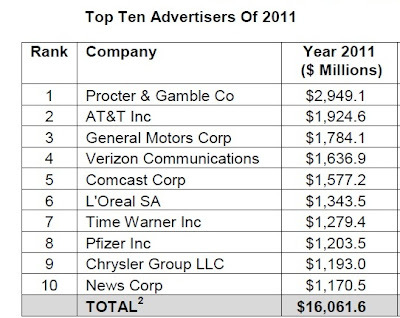 Kantar Media reports that total U.S. advertising spending was $144 billion in 2011--which is about 1% of GDP. 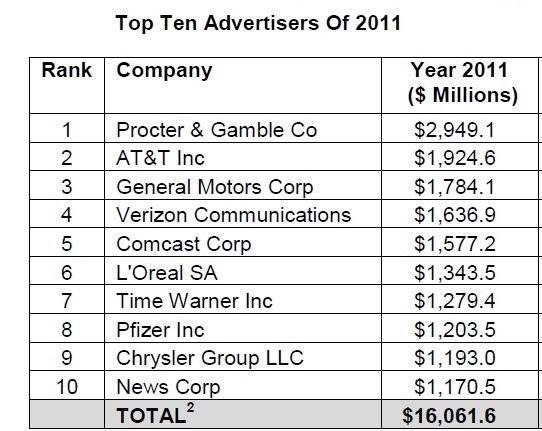 That money is pretty well spread out across advertisers and across different kinds of media: for example, the top 10 advertisers account for only a bit more that 10% of total advertising spending. At the global level, according to Nielson's Global AdView Pulse Report, advertising totalled almost $500 billion in 2011. The great economist Alfred Marshall laid out the social pros and cons of advertising in his 1919 book, Industry and Trade. On one side, he emphasizes the role of advertising in providing information and building reputations, names, and trademarks; on the other hand, he points out that it can be carried to excess. Here are a few of Marshall's comments. Even a century ago, he was skeptical about how American advertising, in particular, was often being carried to excess. "Existing empirical evidence has demonstrated that prices of various goods react to changes in advertising costs differently. For example, advertising seems to decrease prices for eyeglasses (Kwoka 1984), children’s breakfast cereals (Clark 2007) and drugs (Cady 1976), while it increases the supply price in brewing industries (Gallet and Euzent 2002)." "I first show that the taxation of advertising is indeed a powerful instrument to restrict advertising expenditures of firms. I also show that advertising increased consumer prices in some industries such as alcohol, tobacco and transportation, in which the persuasive effect dominates. But it also decreased consumer prices in other industries such as food. I use data from existing marketing studies which make it possible to relate different responses of market prices to characteristics of advertisements in industries. I can indeed show that those industries which exhibit the informative price include more information in their advertisements, consistent with the interpretation of informational and persuasive forces of advertising. 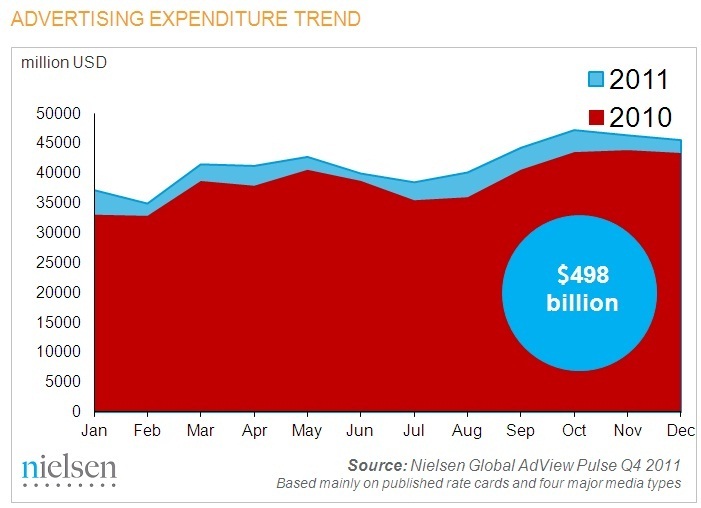 "The aggregate effect is informative, which means that, on average, advertising decreases consumer prices. This suggests that the Austrian advertising tax increases consumer prices and probably affects welfare adversely. I estimate that if the current 5% tax on advertising in Austria were abolished, consumer prices would decrease by about 0.25 percentage points on average." Thus, the challenge for all of us as consumers of advertising is to consume the information that it provides without also swallowing the persuasion that it offers. In addition, whenever I feel annoyed that perhaps advertising has cost me some money, I try to remember that advertising pays essentially all of the production costs for my morning newspaper and for most of the television that I watch.